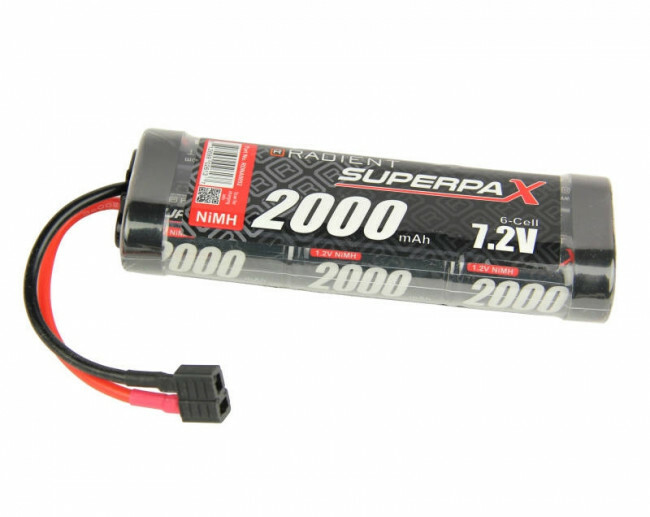 The Radient Superpax range of NiMH and LiPo batteries are excellent quality and represent good value for money. The Radient Superpax 6 cell, 7.2V 2000mAH NiMH battery pack is in a standard stick configuration and will fit all RC models on the market that are designed to accept this style of battery. It is supplied as standard on the Firelands Helion Conquest range of cars. Fitted with a female Deans, T-style plug.